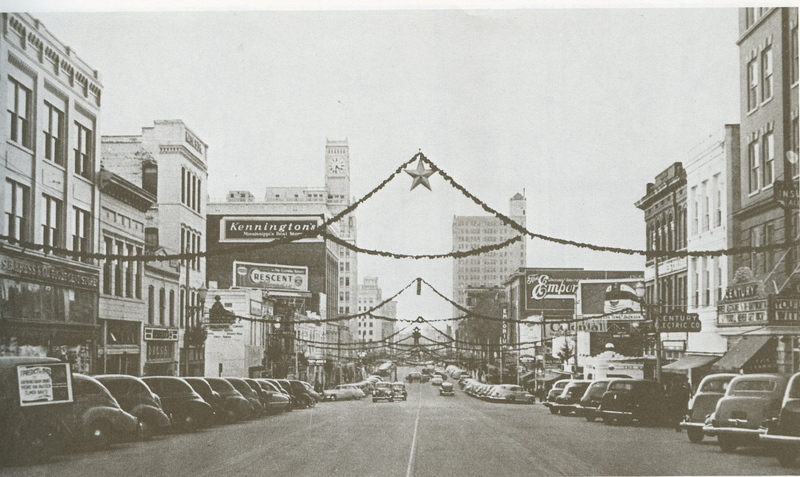 “Our Christmases in Jackson were still a lot of fun, but never quite the same as those we had had in Greenwood because we were getting older. 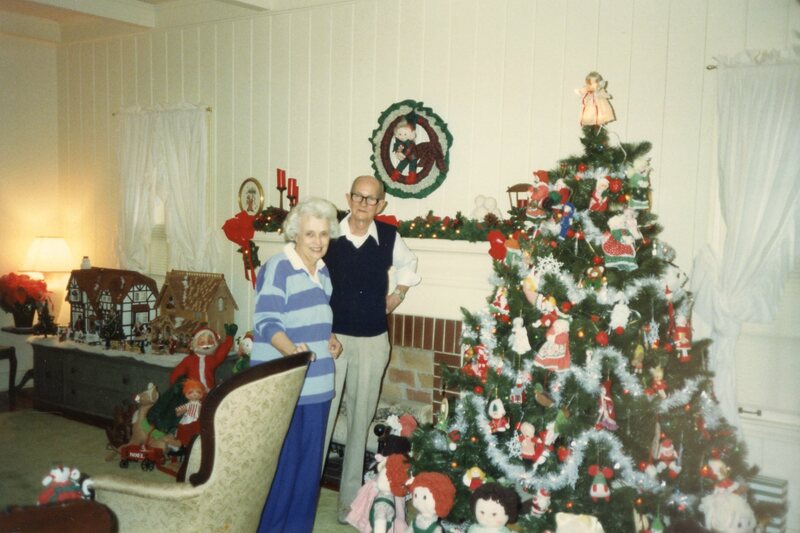 Tiny was embarrassed because Mary and I still believed in Santa Claus in 1929, but one of the old maids on the hill fixed that when she asked in front of us if we still believed. One year Daddy bought a cute little electric stove for us. I still wanted a doll every year and got one until I was eleven. I still have one of the last baby dolls I got. 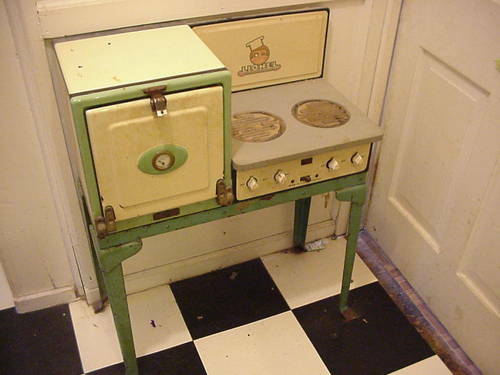 A toy electric stove from the early 1930s; most were sold for scrap during WW II. Sara and Russell, mid-1980s, in the midst of Sara's favorite season. There will be much more to come in these posts about Sara and Christmas, but for now be assured that the season consumed her. And all of us around her. I’ve never known anyone who got a bigger charge out of Christmas preparation and the actual day than Sara Criss, and her enthusiasm made it a treat for the rest of us. Each year, from the November evening the Christmas tree truck rolled into Kroger’s parking lot (and Sara all but unloaded the trees herself, looking for just the perfect one) through the famous Evans Christmas Eve Party (at its peak, 40 or more guests) to the climactic revelation of two little girls’ living room Toyland on the 25th, it was an annual roller coaster of fun. She set a standard that was impossible for anyone to match, and it all started with those happy holidays on Strong Avenue and Robinson Road. I have 3 Christmas Angels that your mom made. I think BJ gave them to Mary Parker and me. I put them on my tree every year. They are adorable and so precious to me!!! And I’m sure at some point your mother brought you over to get treats from her giant living room Santa. Christmas became more and more of an obsession with her as she got older and no one “did” the holiday better! Glad you’ve got the tree angels.